The University of Tennessee Graduate School of Medicine (UTGSM), Primary Care Sports Medicine Fellowship is a 1-year ACGME accredited program sponsored by the Department of Family Medicine. The fellowship is designed to provide comprehensive sports medicine training in musculoskeletal and non-musculoskeletal disease in active individuals. We provide coverage for professional, collegiate, and high school athletes as well as the typical "weekend warrior." The fellow will have ample opportunities to work with athletes from the point of injury through the diagnosis, treatment, and rehabilitation process. Education is guided by three CAQ trained primary care sports medicine faculty who come from a variety of backgrounds and are trained in the latest sports medicine therapies. These include Drs. Kenneth Bielak, Kendra Kemmet, and Rebecca Morgan. Fellows participate in a multi-disciplinary approach when providing care involving consultants, trainers, coaches, physical therapists, and family members. The fellow will also have opportunities to educate the community concerning injury prevention, while optimizing training regimens for individuals and teams. The faculty in the UTGSM Department of Family Medicine is quite exceptional and this is one of the only departments across the country offering fellowships across disciplines including: Sports Medicine and Emergency Medicine. The primary care sports medicine opportunities offered in this fellowship are some of the best in the country and can give the fellow the skills to be a leader in the field of Sports Medicine. The Sports Medicine Faculty has been team physicians for Olympic, national, collegiate, and high school programs and can provide mentorship throughout your training here and beyond. The fellow will have ample opportunities to work with athletes from the point of injury through the diagnosis, treatment and rehabilitation process. In addition, fellows are encouraged to educate athletes, coaches, and the community concerning injury prevention, while providing a multidisciplinary approach to patient care. 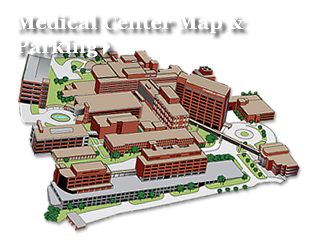 The consultants and resources offered in this academic medical center provide comprehensive care often not found in other settings. Fellows rotate in a variety of settings ranging from private orthopedic offices (Tennessee Orthopedic Clinics, University Orthopedic Surgeons), to the University of Tennessee Student Health Center Sports Medicine and Physical Therapy Clinic, and the University Family Physicians Sports Medicine Clinic. Fellows provide coverage for the Knoxville Ice Bears Professional Ice Hockey team, as well as the National Golden Gloves Boxing Program, and local high schools. Fellows also participate in mass endurance event coverage including the Knoxville Marathon and the Marine Corps Marathon. In addition, Knoxville is home to the Knoxville Track Club, FC Alliance Soccer Academy, and many individuals who lead active lifestyles. These provide plenty of opportunities for injury assessment, casting and splinting, radiographic interpretation, joint injection, sports nutrition, exercise treadmill, and training room experiences. The UTGSM Sports Medicine Fellowship is accredited through the ACGME and fellows are eligible to sit for the CAQ exam in sports medicine following successful completion of the fellowship program. Our fellowship start date is July 1. Team physician experience is garnered throughout the year in the high school, collegiate, and professional settings. The fellow will serve as a team doctor for a local high school and will be available to provide training rooms as needed. The fellow also serves as a team physician for the Knoxville Golden Gloves Franchise, assists with physicals and ringside coverage for the local and regional boxing events, and has the opportunity to travel with the team to national GG and JO (Junior Olympic) tournaments. In addition to boxing and local high school coverage, the fellow also has opportunities for football sideline experience with the UT Chattanooga Mocs and in Johnson City at East Tennessee State University. Finally, the fellow works with the Knoxville Ice Bears Professional Hockey team - four time Southern Professional Hockey League champions. Longitudinal and specialty clinical experiences provide a wide range of primary care and musculoskeletal issues in active individuals of all ages. Fellows will be expected to maintain proficiency in their specialty, which includes one half-day per week of primary care or continuity care with an associate PM&R Faculty. Other requirements include service on one committee in at least two different care settings (Graduate School of Medicine, UT Student Health, University Family Physicians, University of Tennessee Medical Center), scholarly activity including case reports, case presentations, or original research, and finally a quality improvement initiative. The fellow has ample opportunity to learn through active participation, while refining his/her skills when educating other learners such as residents and medical students. Team physician experience is garnered throughout the year. Scholarly activity is required according to ACGME standards as noted, and is supported in conjunction with the University of Tennessee Graduate School of Medicine with a dedicated research week to develop and outline research projects, and a conference allowance to encourage attendance at national and regional educational and scholarly events. These educational opportunities are coupled with our weekly sports medicine academic conferences and journal club. This program is ideal for motivated and energetic applicants who want to develop expertise in clinical and research skills, while making an impact on the dynamic field of sports medicine. Fellows are selected through the National Resident Matching Program (NRMP). Applications can be obtained through Electronic Residency Application Services (ERAS). Our residency program is listed as "University of Tennessee Medical Center at Knoxville"and our accreditation ID is: 1274721044. Applicants must receive training in Family Medicine, Internal Medicine, Pediatrics, or Emergency Medicine, as well as Physical Medicine and Rehabilitation. Deadline: Deadline for applications is September 1, and initial reviews will be conducted early to mid August. Interviews will be offered beginning late August. For the application materials outside of ERAS please fax, email or mail to our fellowship coordinator, Khristy Harris. Special Note: Candidates are invited for interview based on their application, but predominantly on their personal statement. Please be thoughtful and mindful of this when creating your essay. Your personal statement can be creative and should be written in a way that tells us the most about you and your future career goals. Interviews are conducted on Thursdays or Fridays from September through early November. The applicant will be contacted by email for interviews and the department will do its best to accommodate the applicant's schedule. Please respond to the email promptly to ensure interview availability. Interviews typically begin at 8 a.m. and conclude by 2 p.m.. The applicant will have the chance to interview with Drs. Kenneth Bielak, Kendra Kemmet and Rebecca Morgan and have ample time to talk to current fellows throughout the day. Hotel accommodations are offered for the night before the applicant's interview. Please discuss this with the department coordinator when offered an interview, if needed. For questions, please contact Khristy Harris.